The US’s attempt to have two alleged cyber-criminals extradited from the UK has come before a London court. 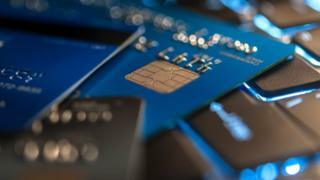 The two men are accused of being members of a 36-strong group said to have been behind a dark web forum responsible for more than $530m (£409m) of losses to banks and individuals. The Infraud Organisation is said to have sold stolen credit cards and IDs. Taimoor Zaman and Anthony Nnamdi Okeakpu deny the allegations made against them. The US government’s lawyer said that Mr Zaman had been both the moderator and administrator of the forum. He was said to have used the nickname Scottish. It was also alleged that he had posted to the site 250 times and had advertised CVV payment card verification numbers among other wares. The barrister said that Mr Zaman had left Italy and come to the UK after being questioned by the authorities there. He was subsequently arrested on 9 February at a house in Blackburn, Lancashire. Mr Okeakpu – a full-time student at a London college – is accused of being another of the forum’s administrators, who had gone by the nickname Moneymafia. The court heard he had been arrested on 14 February at Heathrow on his return from Nigeria. Various computer equipment was subsequently recovered from his flat. A US-based lawyer who testified on behalf of Mr Okeakpu said that if the men were extradited they would likely have to wait until late-2019 or 2020 to go on trial.